Irvine, Calif. – The annual surveys used by schools, districts, states and national leaders to learn about how students, educators and parents use – and want to use – technology for learning are open for three more weeks. More than 180,000 have completed the surveys since they opened in October. 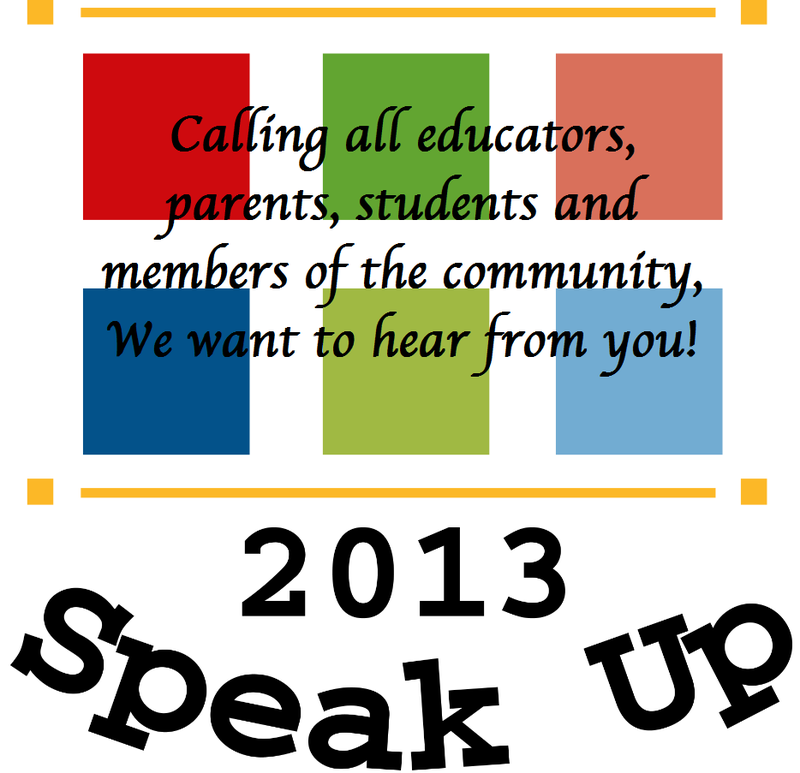 Speak Up 2013 closes December 20th. This year’s Speak Up annual surveys ask K-12 students, educators and parents about the use of mobile devices, online classes, games and digital content within learning. As more students have their own smartphones, tablets and laptops, this year’s surveys ask school districts and teachers about the growing trend of Bring Your Own Device (BYOD) policies. Additionally, in light of President Obama’s ConnectED initiative, Speak Up is asking educators about their school’s bandwidth capacity to better understand if schools have enough Internet access to support the use of high quality digital content such as videos and animations within classroom instruction. For the first time, employers, after school providers, school board members and homeowners without children in schools can now provide their views on the role of technology in preparing students for the jobs and careers of the 21st century. Both parents and community members will also be asked about their awareness of the new Common Core State Standards, and the sources, both digital and non-digital, of their information about the new standards. With the upcoming implementations of these new curriculum standards and associated online assessments, students’ writing abilities are more important than ever, and this year’s Speak Up surveys ask parents, teachers and administrators to comment on the impact of technology on students’ writing abilities. Again this year, the surveys ask about and track participants’ thoughts about how tablets can impact education – at home and at school – and the challenges and benefits of using mobile devices in the classroom. After more than a decade and 3 million participants, Speak Up continues to be the only annual, national survey to ask students, educators and parents how they use – and how they would like to use – technology for learning. Again this year, the online surveys ask students, parents and educators to envision their ultimate 21st century school and to identify the technology tools that would be essential to support increased student achievement and learning. The online Speak Up 2013 surveys close on December 20th. Learn more via http://www.tomorrow.org/speakup/. 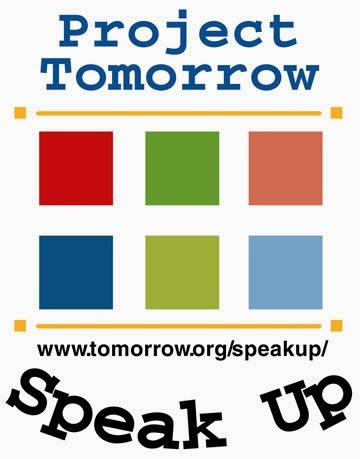 This entry was posted in Press Release, Speak Up, Speak Up 2013 on December 3, 2013 by Project Tomorrow.